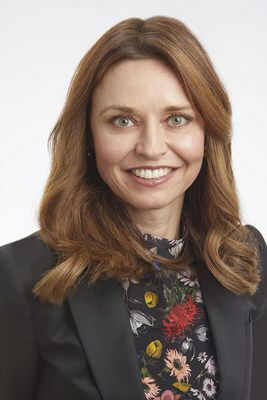 SEATTLE, Feb. 27, 2019 /PRNewswire/ -- Seattle-based Nordstrom, Inc. today announced the appointment of two new members to its board of directors: Kirsten Green, Forerunner Ventures founder and managing director and Glenda McNeal, American Express Company Enterprise Strategic Partnerships president. Green launched San Francisco-based Forerunner Ventures in 2010 which is one of the most successful women-founded venture capital firms in Silicon Valley. The firm specializes in understanding today's consumer and is dedicated to investing in ambitious entrepreneurs who define and dominate a new generation of commerce. From B2C to B2B companies, their portfolio includes retailers like Bonobos, Dollar Shave Club, Jet and Warby Parker. Green has led efforts to raise more than $650M investing in more than 80 companies. She currently serves as a member of the board of directors at Glossier, Outdoor Voices, Ritual, Inturn and Indigo Fair, among other Forerunner portfolio companies. 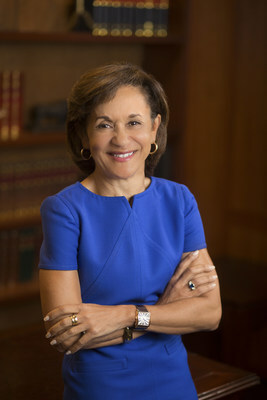 Prior to Forerunner she was an equity research analyst and investor at Banc of America Securities (formerly Montgomery Securities) covering publicly-traded retail and consumer stocks. McNeal currently leads American Express' strategy, negotiations and key initiatives for the company's strategic relationships, including the largest travel, e-commerce, technology and retail partners. In prior roles, McNeal has led the company through pivotal transformation and growth, including expansions into new industries that do not typically accept credit cards. She has held a variety of roles of increasing responsibility since first joining American Express in 1989. McNeal currently serves on the boards of RLJ Lodging Trust and the World Travel & Tourism Council. "As Nordstrom focuses on its ambition to be the best fashion retailer in a digital world and achieving its long-term financial commitments, we're pleased to welcome both Kirsten and Glenda to our board of directors," said Brad Smith, chairman of the Nordstrom board. "The unique perspectives and experiences they bring to Nordstrom will continue to support our efforts to meet the ever-changing needs of our customers, enabling them to shop where, how and when they choose." The company also shared that Phil Satre, current independent director, announced he will not seek re-election and his term will end in May. Satre was appointed to the board in 2006. "We want to thank Phil for his many years of service to the company," said Smith. "His leadership has been invaluable, and we are grateful for his many contributions." The two appointments and Satre's retirement from the board in May will bring the total number of directors to 11, nine of whom serve as independent directors. Nordstrom is committed to diverse workforce representation across all business areas, and at every level of leadership. Nordstrom believes having a diverse workforce and a culture of inclusion fosters innovation, enables it to better serve customers and strengthens its ability to attract and retain top talent. Five of the company's board of directors are female and three are people of color. Nordstrom directors serve one-year terms and the company requires annual elections of all Board members, which will take place at the annual shareholders' meeting on May 23, 2019.